This entertaining and "light" US documentary series called Faces of America investigates the history of immigration in the United States by showcasing a variety of famous American celebrities. From African-American professor and poet Elizabeth Alexander to Yo Yo Ma, a Cello Master of Chinese descent or the beautiful yet talented Eva Longoria (Desperate Housewives) who has Mexican heritage. The individuals highlighted in this series really helps portray a positive message of immigration in this country but of course, it's not without its downfalls. The series is hosted by Henry Louis Gates Jr. (African American literacy critic) who successfully links these high calibre American citizens with the history of immigration in this country and how these cultures changed the face of the United States and made it what it is today. Thankfully the series does not just dwell on just the highlights as mentioned and pinpoints a variety of racial factors into the information and how this drove their families as a catalyst for their future. Just like the series another similar series that traces the family trees of celebrities, Faces of America provides a privilege to viewers as they let us into their lives that is filled with personal achievements and at times heavy emotions. For me, two stories stood out, that of Queen Noor or Jordan who has an amazing clash of cultures in her blood which include Syrian, British and Swedish descent. The other story was Eva Longoria who really opens up to the viewer and is more than just a pretty face but a person of experience, culture and determination. This is how documentaries should be made and Henry Louis Gates, Jr. creates a very special snapshot at this amazing country called the United States of America. The video quality of this presentation is above average and features sharp images, deep blacks and vibrant colours. Audio is a little lacking and when it comes to special features, this disc is quite barren but generally most documentaries don't have special features. 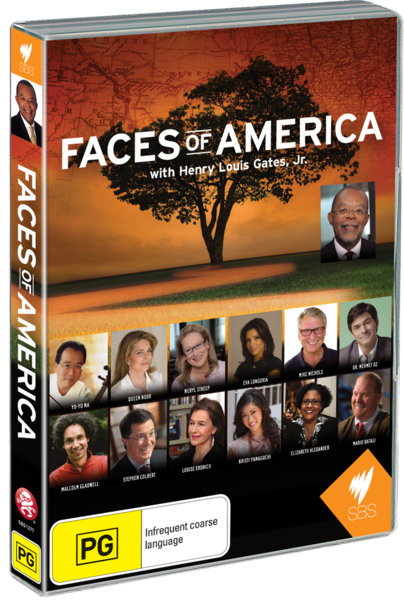 At the end of the day, Faces of America is a very insightful series that will give you another perspective at how you look at one of the world’s most powerful countries from those that know the country best.